Regardless of what he does today, it will be interesting to see how much Tiger plays in the balance of the schedule this year as he either looks for the "first" or continues to chase Snead's record. Clearly he is playing the Ryder Cup. He has also qualified for the WGC. The event the same week in Miss is for folks who don't qualify. Seem like a lock he will play the WGC. He loves those, winning 18 of them while the #2 on the list (Dustin Johnson) has only won 5, while only Phil (3) and Ogilvy (3) have won more than 2. 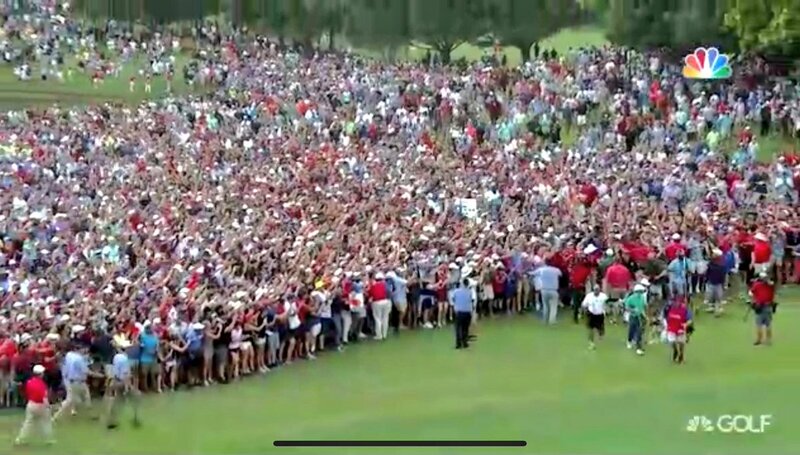 This is the only WGC that Tiger hasn't won, so that's what makes it feel like a lock. He has the match play with Phil on Thanksgiving weekend. It will be interesting to see if he adds the RSM. Not far from his Florida home, and maybe a tune up before playing Phil on 11/23. I don't count Adam Scott (38) and Dustin Johnson (34) as they had been around for quite some time before Tiger last won. Rory had gotten to #1 as early as March 2012, which was the same month that Tiger started his last run of exceptional golf. Tiger's best 1869 day run? He had a 1841 day run from 2/14/99 to 2/29/04 where he won 33 PGA titles, 7 Majors and 8 WGC. He didn't win for a year, then ran off a 1694 day run from 1/23/05 to 9/13/09 where he won another 31 PGA titles, 6 majors and 8 WGCs. So basically what the four Young Guns have done since the last time Tiger won is match what Tiger did individually in his best run... *twice*. They did win more PGA Titles, but you kind of expect that when it's four different #1 golfers vs just one #1 golfer. Those are great golfers, likely all going to be Hall of Famers. It just remains numbing what Tiger did at his peak... and it was *multiple* peaks. Those were an amazing four rounds. 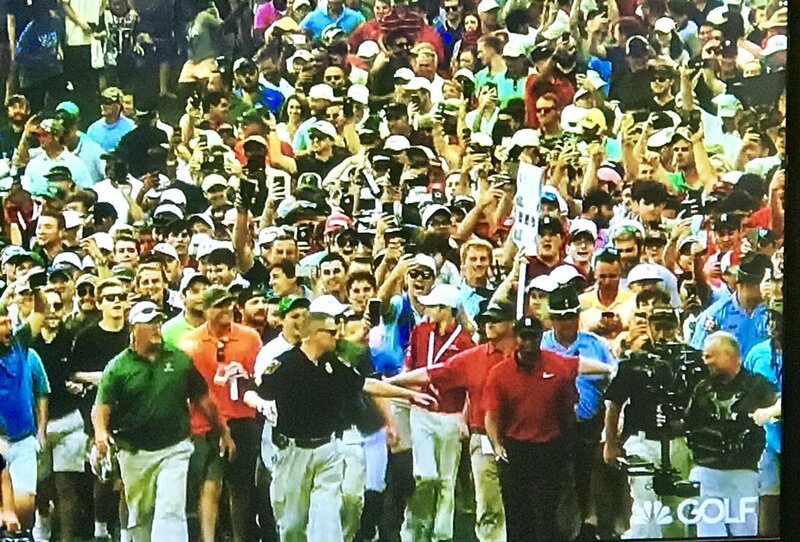 This was tweeted out by The Golf Channel. My goodness. Congrats to Tiger. Next year will be super compelling if he can stay healthy. That's 9 wins in 12 starts, and two runner ups. The last 2nd was at the Masters on a bad knee that would get cut on the week after the Masters. He would come back to win the famous "final Major" on with a torn ACL and a broken tiba. Despite the bum knee through most of that, it's probably as good of golf as anyone has played. Then the marital issues and leg injuries that left him winless in 2010-2011. Then the series of back injuries that thrashed 2014-2015, before knocking him out of almost all of 2016-2017. That wouldn't have been a a fluky week or two at World #1. It was 60 straight weeks in 2013-14. It would have been 30-40+ weeks in 2009-2010 if 2008 and earlier had not happened. Yeah, that's a HOF career.